websites which are on it are trilingual in german, english and french and include first steps with the myEthernet, application examples, configuration of the myEthernet and much more. With the navigation on the left side you get explained first steps with the myEthernet. 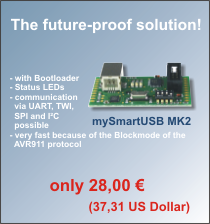 A lot of cases of application in which you can use the myEthernet will be explained on the microSD-card, e.g. Under "Status" you can recall the actually pin status of the myEthernet. Under "Konfiguration" (means configuration) you can adjust the pins and the web server. We create an example page for the myEthernet to show examples for the using of it. But there is also a tutorial which explains the first steps and the starting of the myEthernet. 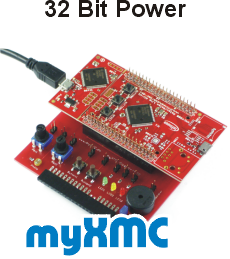 You can also join in and send us your experiments and suggestions. 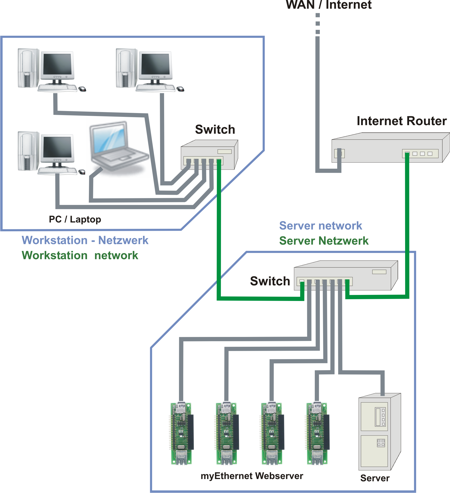 The myEthernet can also be installed in other target systems or combine with other myAVR-products. 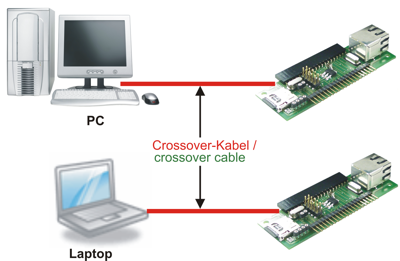 Therefore the multi-pin connector and female connector are necessary. Both are included in the scope of supply but not soldered on. You will find them also in our german shop in the category "Bauelemente und Controller". 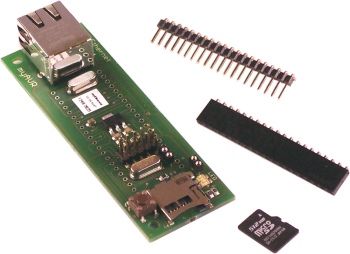 The PowerKit V5 is a power supply unit which is complete populated. It's the perfect accessory for the myEthernet. 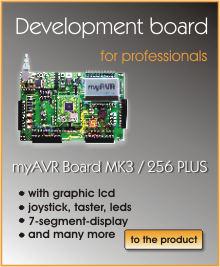 The PowerKit V5 has a suitable connection for the myAVR power supply.